Unless you are the city of Las Vegas, decorating with neon probably terrifies you. Even for the most maximalist among us, who gravitate toward bold prints and a mix of vibrant colors, there’s something so in-your-face about neon in interior design that can be intimidating. We get it. But the SS19 fashion shows, which wrap in Paris on Sunday, tell a different story. 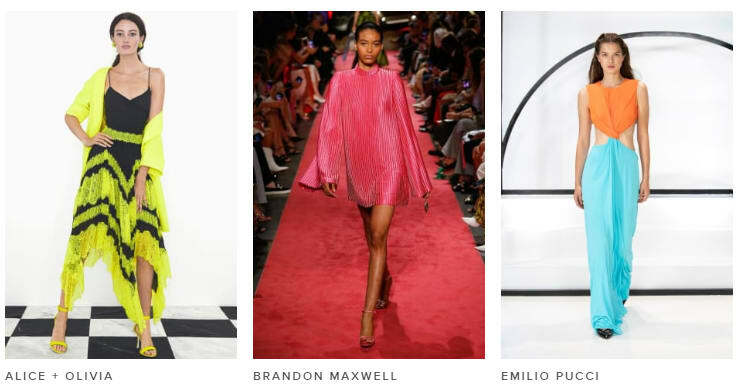 Brandon Maxwell opened his show with a series of fuchsia looks walking down an equally fuchsia carpet. At Rochas, an otherwise neutral-hued collection was punctuated with vivid pops of citron. Marc Jacobs was a rainbow-coated treat from start to finish, highlighting neon oranges, hot pinks, and bold aquas with equal attention. That has us thinking: If our clothes are an expression of us, and the same can be said for our homes, why can’t what works on the runways work on the home front too? In all actuality, hints of the neon trend have been slowly creeping their way into design for a while now. The most literal proof of this is the resurgence of neon signs as wall art — fun, playful prints and sayings that bring back the ‘80s in the best way possible. Then there’s the fact that color-wise, two of the most rampant trends of the last few seasons (bright yellow and hot pink) indisputably veer into neon territory. 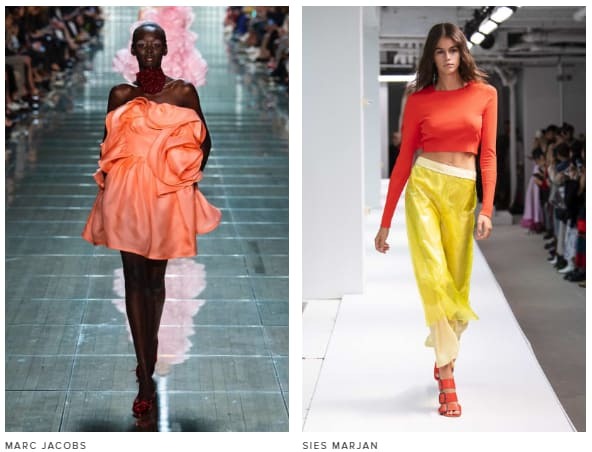 Looks like the neon trend is one about to hit it big in the upcoming seasons — and if you want to get ahead of it, we have a few ideas on how to do just that. 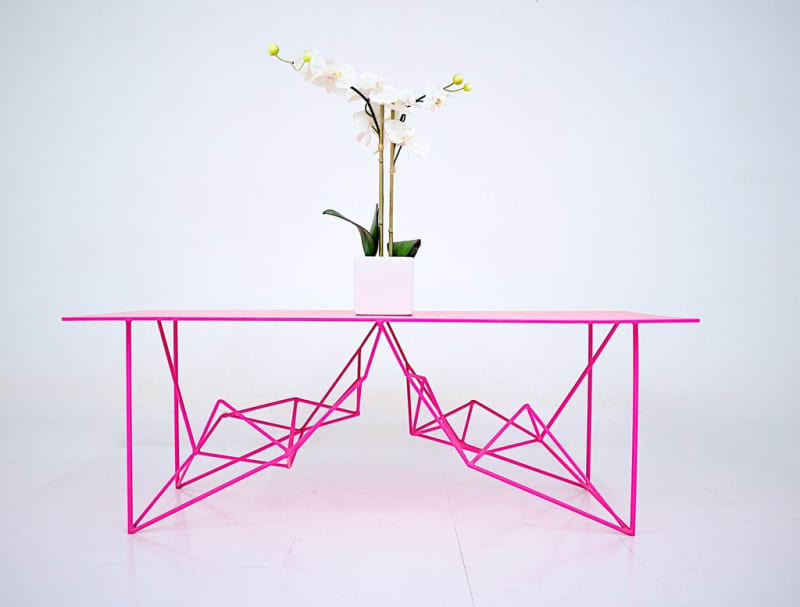 Below, we compiled our favorite neon-hued decor finds to help you ease your way into this dynamic trend. 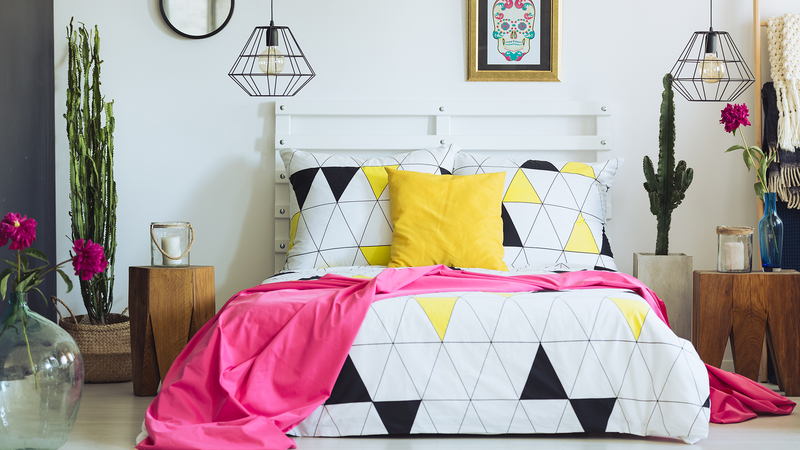 Whether you’re ready to commit with a statement furniture piece or would rather tiptoe your way into neon, we have you covered. We’re kicking things off with one of those aforementioned statement furniture pieces: This mod table is an instant dining room focal point. Crafted from steel and featuring a contemporary, almost geometric leg design, it’s at the midpoint between maximalist and minimalist — let’s say it’s for the colorful minimalist. 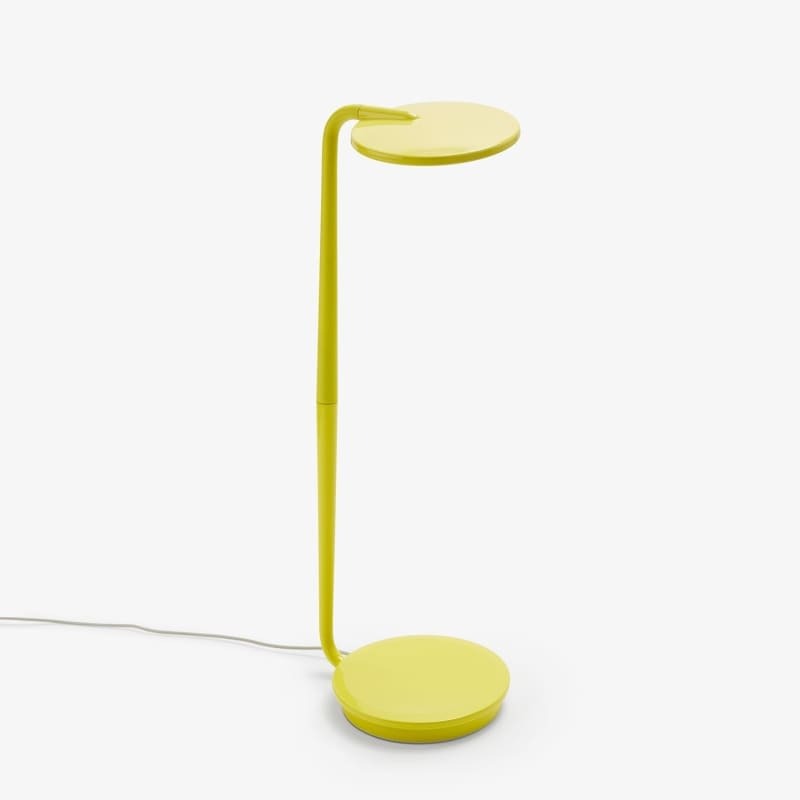 There’s an eco-friendly secret behind this cool little lamp. The energy-efficient piece offers LED light, which uses 75 percent less energy than incandescent lighting does. For any particularly sustainability-driven decorators, this lamp is proof you don’t have to sacrifice style for sustainability. Aside from doing good, it also looks good thanks to a simple yet sophisticated silhouette and bright yellow color. Never in the history of dinner parties has anyone ever been jealous of the salad serving utensils. As far as kitchenware goes, they’re pretty unexciting. 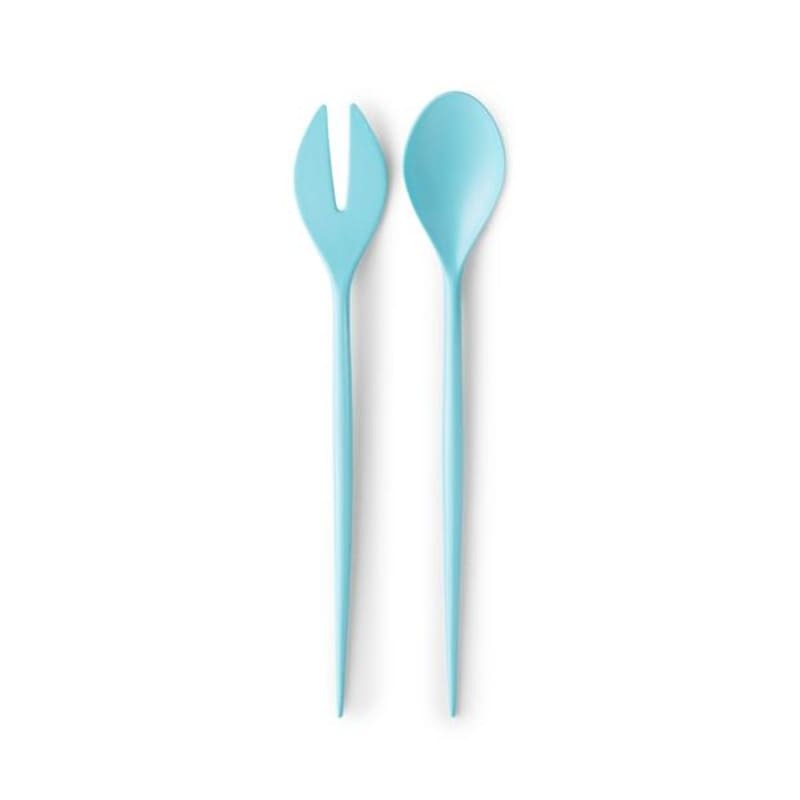 This pair, which marries Scandinavian simplicity with a splashy turquoise hue, might just change that. They also make for an excellent host gift for the upcoming holiday season if you’re already stressed about navigating that. 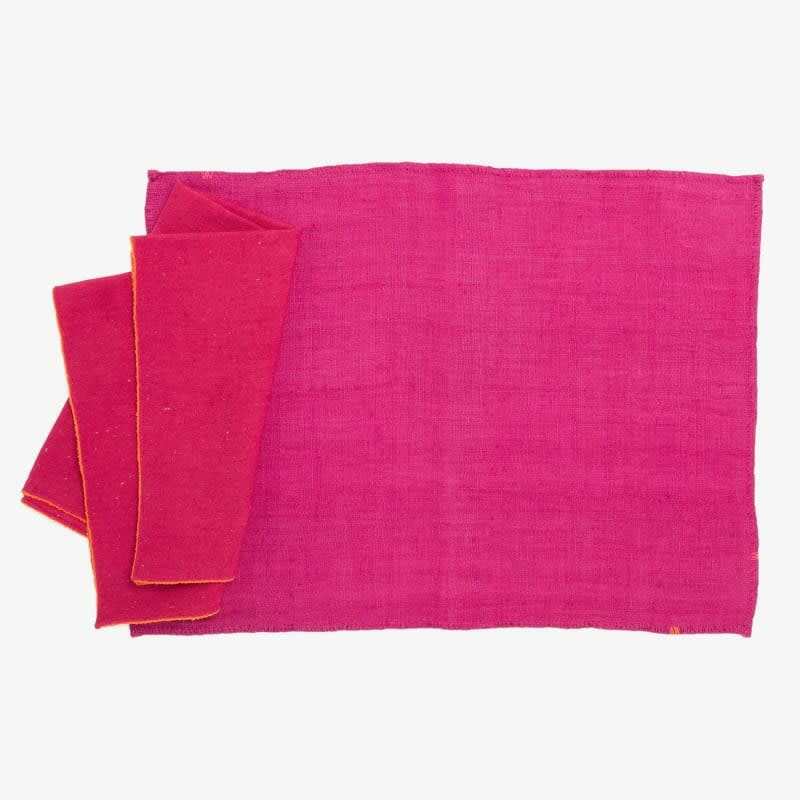 Buy either a cotton napkin or raw hemp placemat or pick up both for a complete set. Either way, this is a great way to bring both texture and color to an otherwise unremarkable table — it’ll make pulling together a cool tablescape so much easier because, with linens that pop as much as these do, you can just use regular-old white dinnerware. 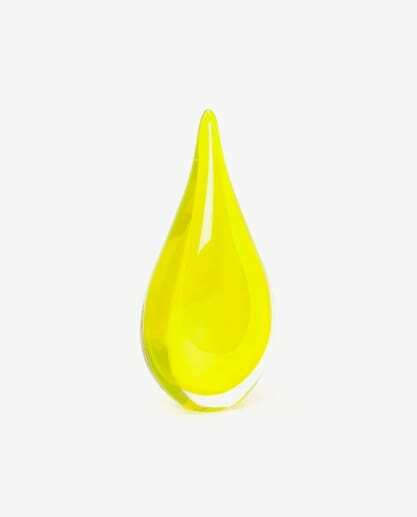 Highlighter yellow is rarely demure, so for the bookcase in need of some zhooshing, this teardrop-shaped glass paperweight is a great finishing touch. Whether actually used as a functional tool or just as a sculptural accent piece, it’s an undeniable eye-catcher that has a place in pretty much any empty nook. Let’s not beat around the bush: mornings are tough. 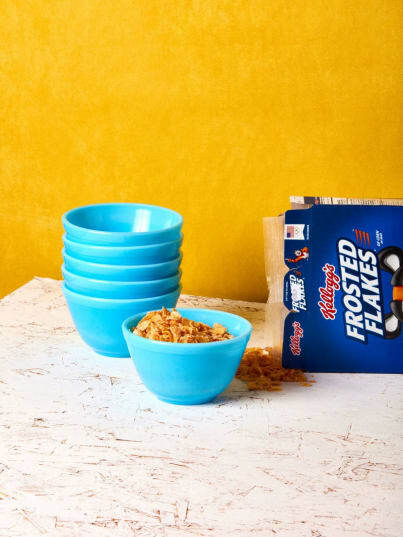 This cheery blue cereal bowl might not change that, but it will help you start your day on a happier note. Milk glass is such a unique material and a welcome break from more traditional stoneware — plus, if you have open shelving, adding a couple of these pieces to the mix is an instant statement-maker. Bring a bit of retro to your kitchen in a tasteful way. 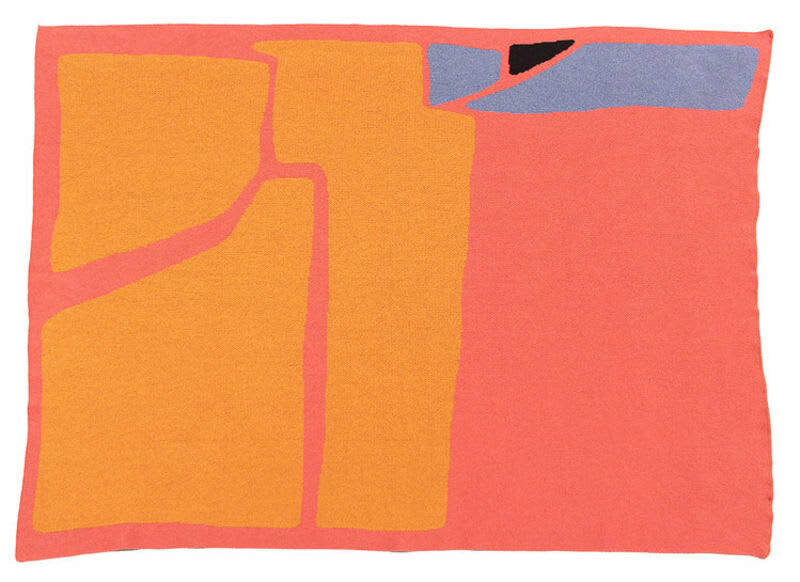 We love anything and everything Cold Picnic, so when we discovered a neon carpet in the midst of the brand’s offerings we were suitably thrilled. Abstract prints color-block perfectly; the neon orange against the similarly neon coral pink is an especially gorgeous color combination we can’t get enough of. You say salad bowl, we say convenient accent piece that lends itself to anything from being an impromptu centerpiece — fill it with an assortment of seasonal fruits — to a colorful pot for a new tiny plant. The sunny hue instantly brightens whatever area it fills. 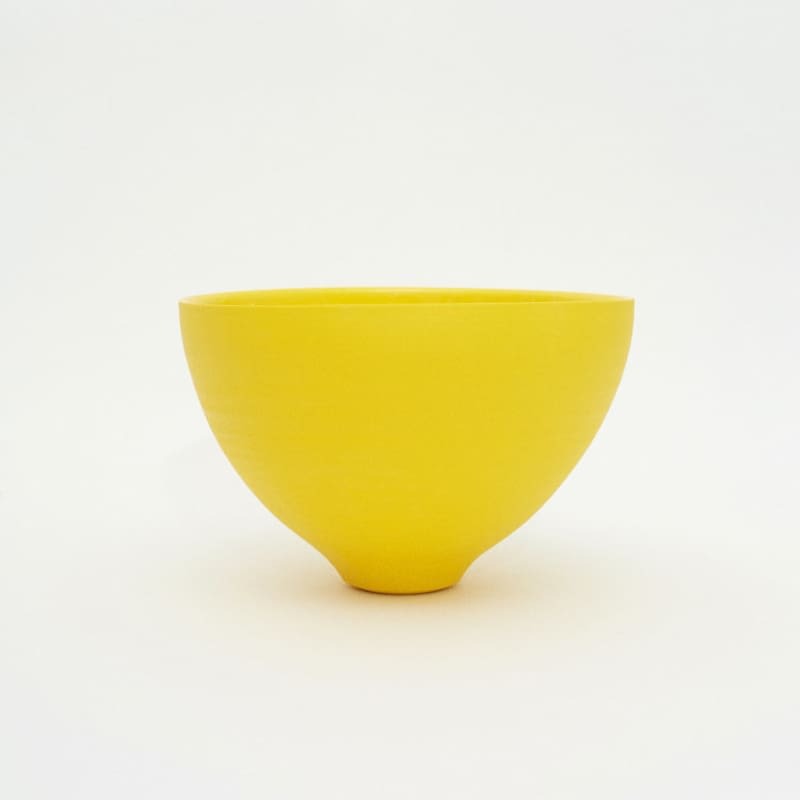 Or if you want to stick with tradition, make the most of this porcelain salad bowl at your next dinner party. Because let’s be honest — salad can use all the hyping up it can get. 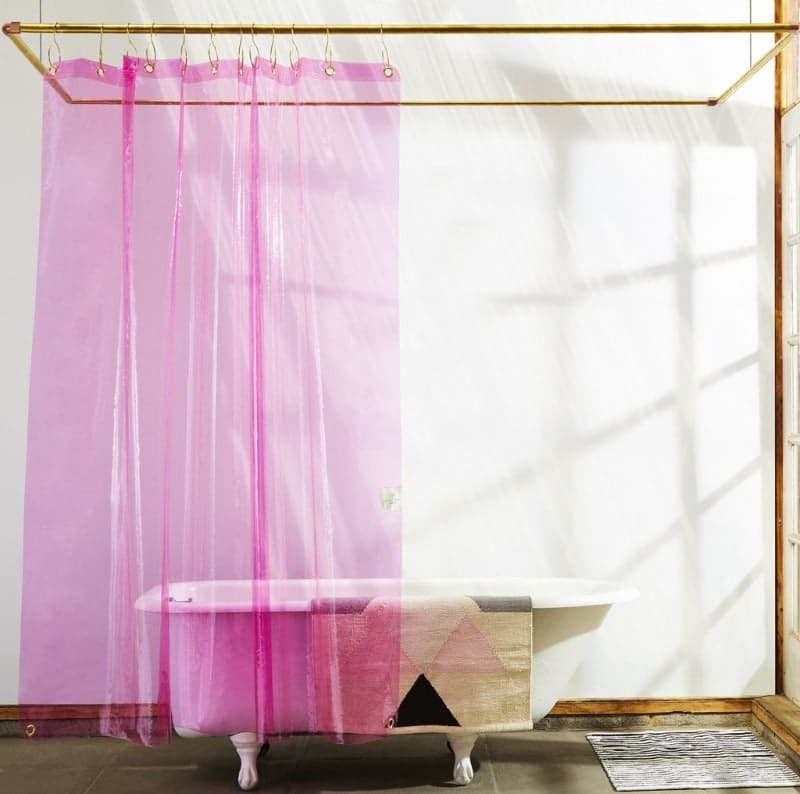 Why settle for a plain white plastic shower curtain when you can have one that turns even the tiniest of showers into a statement? This vinyl option is technically meant to be used as a liner, but the fuchsia hue is so striking we’re all for keeping it as is, sans a covering. Privacy is overrated, anyway. Just be sure to warn your roommate. A classic mid-century modern silhouette gets a 2018-worthy revamp in neon orange. 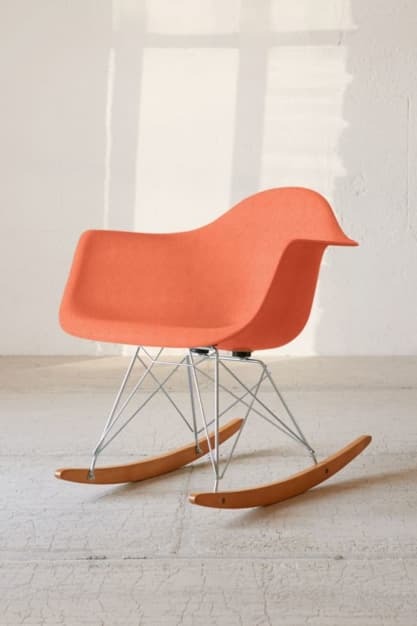 Use as a more design-focused office chair or as an accent piece in your living room. The fiberglass shell feels more upscale than plastic and makes for a durable item you’ll be loving for years to come. If you’re not afraid to take a trend to the extreme, go all out and paint a room in full neon. Choose from myriad finishes for the aesthetic that best fits your personal style. Love the color but not sold on coating your walls in it? Start small: A tired end table, the front panels of stairs, or even doorframes can all use a facelift. 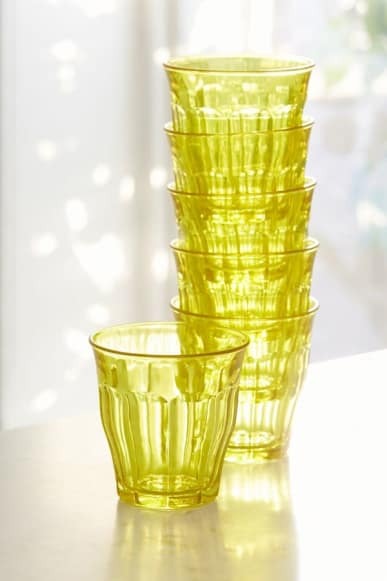 We love opting for rainbow glassware as an easy fix to a dated, drab kitchen, and these yellow ones are both affordable and vibrant. They’re dishwasher safe, suitable for both hot and cold beverages, and all-around super-durable — think of this purchase as a low-risk way to buy into neon if you’re not completely in love with the trend but want something new to spice things up. 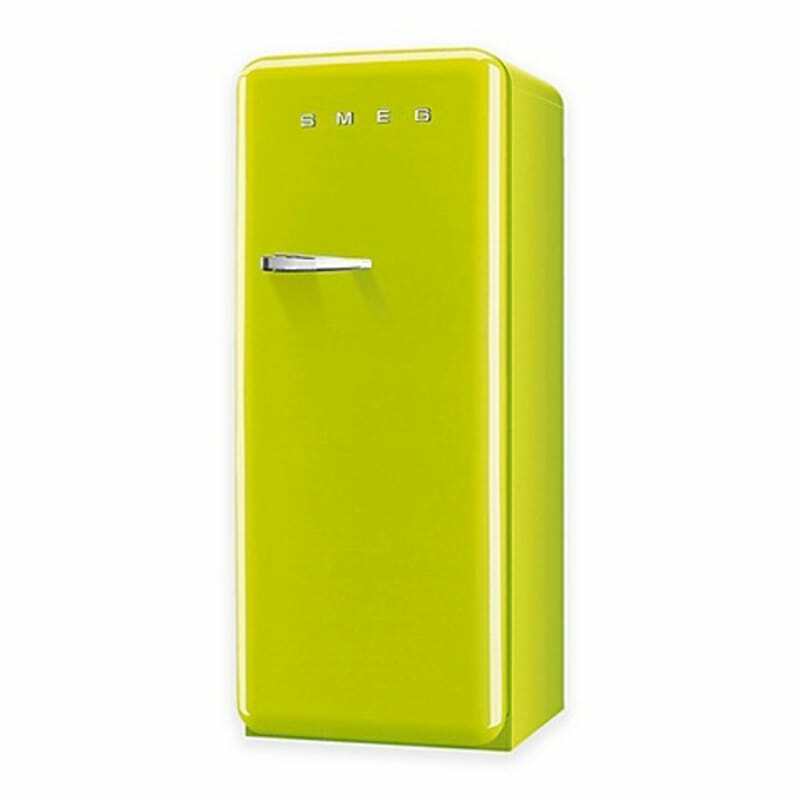 If the kitchen revamp you had in mind is a bit more involved, you might want to try swapping out boring stainless-steel appliances for something more fun: specifically, a lime-green refrigerator. Smeg is our go-to for getting that classic retro feel in appliances (whether they’re as big as a fridge or as small as a toaster), and this adventurous color will brighten even the tiniest of dark kitchens. Scandinavian minimalists, this is proof you too can incorporate neon detail at home without sacrificing the core tenets of your design ethos. 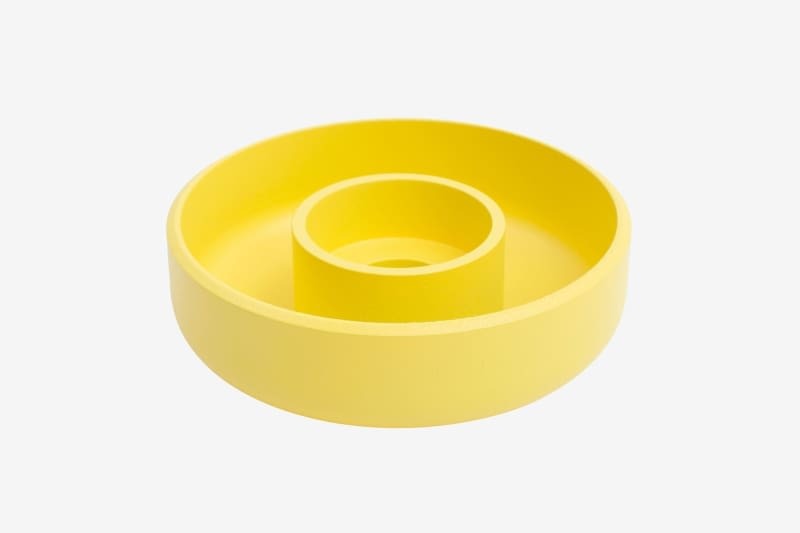 This more subdued neon yellow is a chromatic compromise — bright and eye-catching on one hand, subtle and simple on the other. A versatile piece, it can hold both tea lights and tapered candles. Buy yours in a neutral white to offset the sudden burst of color this piece will bring into your space. Alternatively, try tonal blocking: Choose tapered candles in a warm ochre hue to keep with the yellow theme. It might not technically be decor, but anyone who consciously tries to drink more water usually keeps some kind of bottle as a permanent fixture on every surface in their house. Why not make it design-forward? 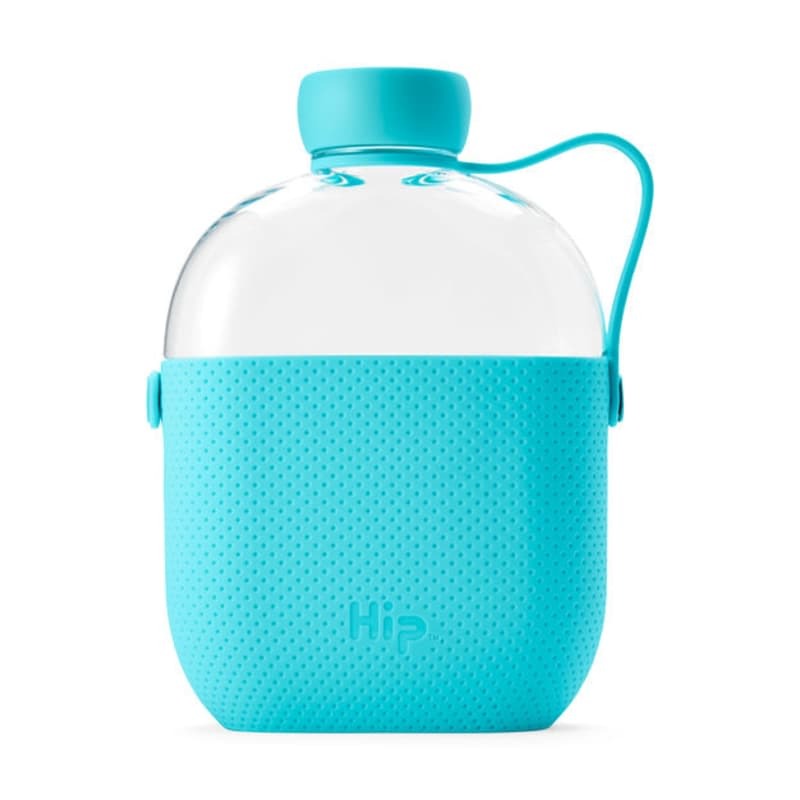 BPA-free plastic allows for safe, worry-free drinking, and the fact that you can take this turquoise hip bottle on the go makes it a worthy investment for your daily life. 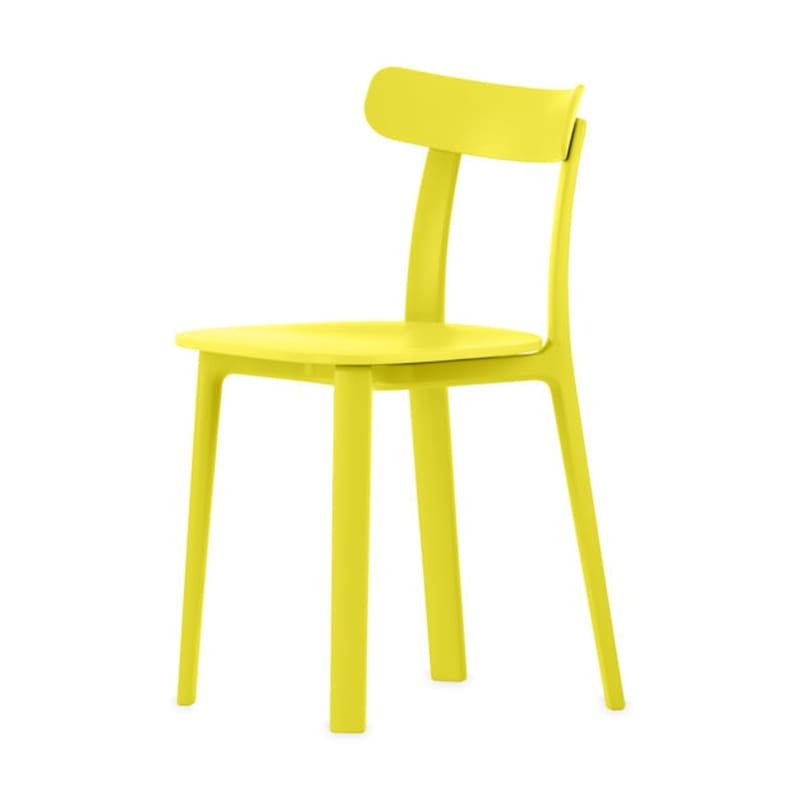 Keep your dining table basic and let the chairs do the talking; bright yellow tends to draw more than enough attention. You can also go the more eclectic route of buying one to add to your preexisting selection and having a mismatched collection of dining room chairs — this twist on the traditional is a lot more visually interesting than a set of uniform chairs in our opinion. This particular seating option, which is actually pretty simple despite its vivid color, brings a bit of playful modernity to the table. Literally. A pair of colorful tapered candles is a great way to balance out older, antique candleholders — a flea market favorite — in a fresh, contemporary way. 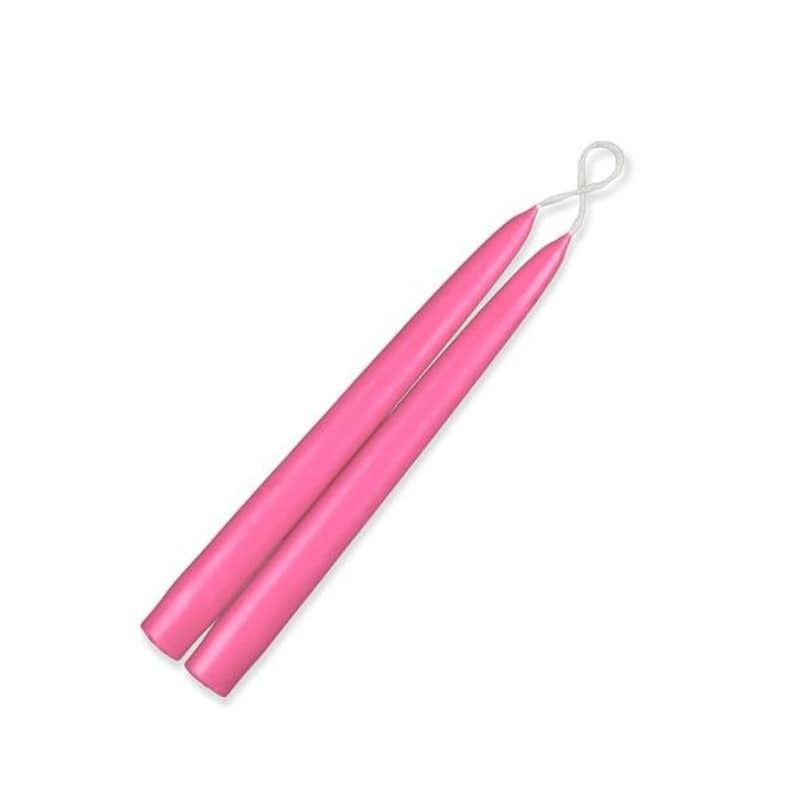 These hot-pink ones are so cool you won’t want to burn them; which is totally fine too. Just keep them proudly displayed on the edge of a mantel or console for an easy pop of color.